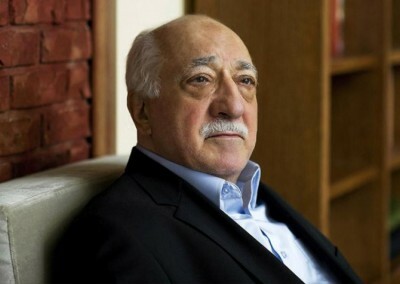 NBC News maintains that four sources in US government agencies (probably the FBI and the State Department) told its reporters that the Trump White House is seeking ways to expel Turkish religious leader Fethullah Gulen. But the kicker is that Trump apparently is exploring the extradition as a bribe to shut Turkish president Tayyip Erdogan up about the murder of dissident journalist Jamal Khashoggi on the orders of crown prince Mohammed Bin Salman. The Saudis are now trying to pin the blame on lower-level operatives, whom they have sentenced to death. But Erdogan has been like a bulldog, insisting that Bin Salman ordered the hit (which is the only logical). NBC says that career officials were absolutely furious when they figured out what was behind the White House requests. It is of course the ultimate in shamelessness for Trump to have a US green card holder sent to the gallows in Turkey in order to cover up the murder of another US green card holder murdered in the Saudi consulate. Turkey maintains that Gulen’s Hizmet Movement is a front for terrorist activities and was behind the failed 2016 military coup attempt against Tayyip Erdogan. I think there is evidence that the group is a cult and that it did attempt to infiltrate key Turkish government institutions, in the way of the old Stalinist covert cells. But that all Gulenists are terrorists is pretty hard to believe; the group runs schools and universities and those institutions haven’t been violent (they have been shut down in Turkey proper). That the upper echelons of the leadership have been involved in shady goings-on is plausible (just as it is possible with regard to the Egyptian Muslim Brotherhood, which is being treated by the al-Sisi government the way Ankara is now treating the Gulenists). Erdogan’s campaign to unseat the crown prince has been extremely inconvenient for Trump. Trump has said that Saudi purchases of billions in US weaponry cannot be put in jeopardy over Khashoggi’s murder. Bin Salman is also the linchpin of the Trump administration’s anti-Iran coalition, and to the extent that he is permanently weakened by the fallout over Khashoggi, Iran is strengthened. Bin Salman only had part of the Gulf Cooperation Council (Kuwait, Bahrain and the United Arab Emirates) with him on boycotting Iran. Oman and Qatar have refused to join in, and even Kuwait is soft on this issue. Egypt, Jordan and Morocco were aboard, but offered little practical support, and both Egypt and Jordan want improved relations with the pro-Iran government of Bashar al-Assad in Syria. With Bin Salman being ridiculed as “The Sawman” (Abu Minshar), like a cartoon villain, it is hard to see how he can lead a charge against Iran. In fact, the strategy of flooding the market with extra oil has already backfired, harming the Saudi and other Arab producers’ bottom line, and Saudi Arabia has announced cutbacks for next month (cutbacks that will help Iran withstand the boycott, since it may sell less oil but get more per barrel). Iraq, Syria, and Lebanon are pro-Iran and Qatar has correct relations with Tehran, plus Russia and China are with Iran. The European Union is trying to protect Iran and keep the 2015 nuclear deal. The US-backed Bin Salman’s success in the anti-Iran push was already in doubt before the murder of Khashoggi. Now it is in severe doubt. Hence Trump’s desperate ploy, finally to shut Erdogan up about the crown prince and let the whole controversy die down if possible, so as to preserve Bin Salman as quarterback of the White House Middle East game. A stronger phrase than abject shamelessness needs to be coined in order fully to characterize the cheapness of what the White House is apparently considering. (Note that the White House denies the NBC story; but four sources are pretty damning).